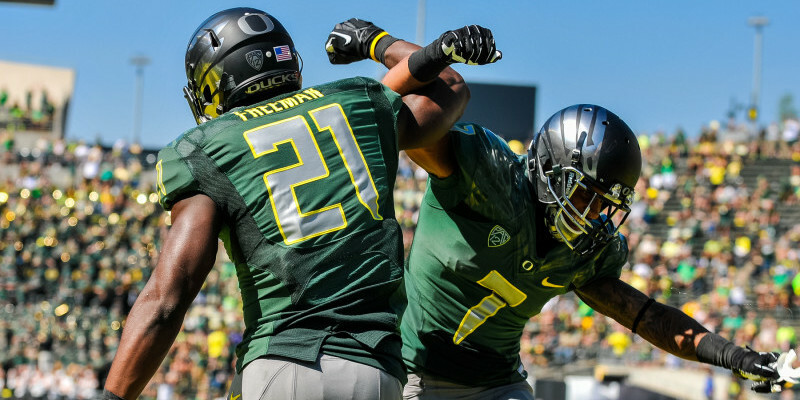 Make no mistake, Oregon football has been making great strides. In the past 20 years, Oregon’s football program has risen from an unsurprising loser to a perpetual championship contender and truly one of the nation’s elite programs. All of this has been accomplished with three different head coaches and the inevitable change in personnel as players graduate from college — making a collegiate dynasty a difficult challenge. Numbers don’t lie. In the past 20 years, Oregon’s football program is 186-66 (74%). The 20 years before that, Oregon’s record was 98-135 (42%). I live in Seattle. I hear all about how Oregon has advantages over the Huskies, Beavers and Cougars. This may be partially true, but doesn’t change the fact that not too long ago the Ducks developed a plan and have executed that plan. Here are a few steps Oregon has taken and how others can execute them to try to excel like Oregon. Why? Oregon was losing in recruiting, losing badly and losing consistently. Suppose you are an 18-year-old elite athlete from Los Angeles, San Diego or the Bay area. You’re being offered a full football scholarship by USC, UCLA, Florida, Florida State, Cal and Stanford. You’ve maybe never been to Oregon — or at best visited a few times — but you know the reputation: it rains every day, about 154 days per year. Considering this scenario — unless you love wet weather — why would playing for Oregon be a consideration? The Ducks had a perception problem — backed up by just enough fact — to eliminate them from consideration for recruits such as this. 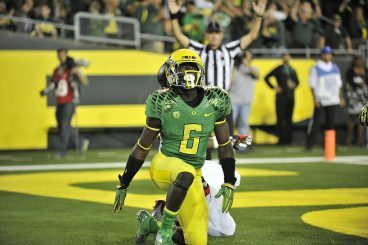 DeAnthony Thomas could have gone anywhere but chose Oregon. The practice facility changed everything. Now, Oregon has a chance at elite athletes from California, Texas and Florida, three states in the country consistently producing talented high school players. And as a result of a consistent talent pipeline from California and an increased national brand, Oregon is now able to recruit nationally. Currently, Oregon has 23 athletes on the roster from outside traditional West Coast states of Oregon, Washington, California, Nevada and Idaho, making up almost 25% of the current roster. The 2000 Oregon roster had a total of five players from outside of those core states. Oregon now has developed an elite talent pipeline to compete on a national level. I was listening to ESPN’s radio host Colin Cowherd a few days ago and he was talking about elite-level talent – particularly in the NBA and NFL. Cowherd said, “Lots of professional athletes have talent; what separates the great ones is their ability to combine that talent with unbelievable work ethic.” Cowherd went on to give examples such as LeBron James, Kobe Bryant, Tom Brady and Russell Wilson. Oregon’s incredible success has come about by acquiring talent in both the coaching and player ranks and combining the talent with incredible work ethic. In one of his first interviews after joining the Tennessee Titans‘ practices, former Oregon quarterback Marcus Mariota was asked about his impression of NFL practice. His reply was telling, as he explained that the pace of Tennessee practice was not nearly the pace of an Oregon practice. Coach Bellotti was an exceptional coach who set the tone for work ethic. Oregon’s tempo at practice is known to be often faster than games on Saturdays. Oregon players work hard during practice and the off-season. Oregon coaches work extremely hard to build and maintain the talent pipeline by intense scouting and recruiting efforts. There are no shortcuts to this, and Oregon has built a culture based upon recruiting talented players who work extremely hard. Head coach Chip Kelly said many times that he wanted players who “love football.” If you love something, it doesn’t feel like work. Oregon finds players and coaches who love what they do and are willing to constantly work to perfect their craft. There has been no shortage of articles extolling the leadership of former Oregon coach Chip Kelly. However, leadership at Oregon has meant much more and involved many others. Oregon has had a string of exceptional leaders among head coaches from Rich Brooks, Mike Bellotti, Kelly and now Mark Helfrich. As a result, Oregon has been able to develop and retain elite-level assistant coaches. Oregon has consistently promoted from within and been willing to pay its coaches enough to keep them in Eugene. However, this kind of commitment to the football program goes beyond even the coaches. This kind of leadership has to come from a commitment among the executives at the university – especially Athletic Director Bill Moos from 1995-2007 and President Dave Frohnmayer from 1994-2009. Frohnmayer was named the 14th president at the University of Oregon in 1994, the season Oregon went to its fourth Rose Bowl and first since 1958. Since those days, strong executive leadership has continued at Oregon. 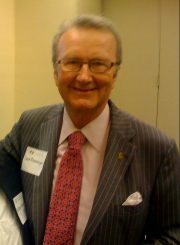 Dave Frohnmayer led the University of Oregon for 15 years. Remember Roboduck? 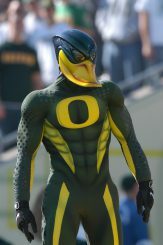 Austin Hall of Bleacher Report wrote in 2010, “In a warm jam-packed Autzen Stadium in the year 2003 against Stanford, a crowd bored to death from a 38-7 score at halftime was suddenly surprised by a dinosaur-like egg being rolled onto the field. As the egg slowly cracked, the anticipation rose. A change was made to eliminate RoboDuck. Oregon went all-in on Roboduck, even having The Duck parade around and introduce him in ceremonial passing of the torch. It didn’t work. Instead of indignantly pushing forward with Roboduck, Oregon realized the mistake and changed. Another example had larger stakes than a mascot change. 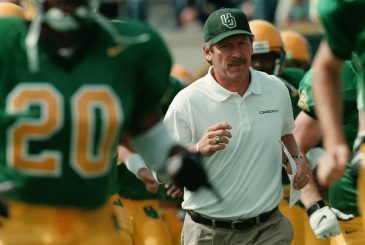 Historically some famed football coaches, upon retirement from coaching, moved into the position of the university’s athletic director. The perception of the athletic director role was one filled with fundraising events, telling stories and sitting in big leather chairs in plush offices in the Athletic Administration Building. However, the modern athletic director job has changed and few coaches have been able to navigate the change. The modern athletic director job could arguably be even more demanding than that of the head football coach. The modern AD is the CEO of a multi-million dollar plus empire, and requires much more business acumen than coaching prowess. The university realized it needed a true executive to run the athletic department. The change was made less than a year after Belotti was hired. Insurance executive and donor Pat Kilkenny was brought in to temporarily right the ship until the search for a new leader was complete, eventually hiring current Athletic Director Rob Mullens. Mullens came to Oregon from the University of Kentucky where, according to his profile at GoDucks.com, “he served as deputy director of athletics and managed day-to-day operations for Kentucky’s 22-sport athletics department, with an annual operating budget of $79 million.” He has not spent one day of his career coaching anything. He is a former accountant at Ernst and Young. A successful football program does not just happen; it takes planning and execution. Sometimes it involves a step-by-step approach. Some institutions continue to search for that right formula, but if they want a model, they need not look any longer. They can just look to the steps taken by Oregon that have led to the success of the Oregon Ducks.